The Secret Keeper has nominated mypenandme for 3 awards! Thank you very much to The Secret Keeper at http://thesecretkeeper.net/ for nominating mypenandme for these three lovely awards. I am honoured. 1. I wish I could find a website that lists many of the loglines from “produced” screenplays in one long list. If you know of one, please let me know. 2. My workplace is giving the staff four extra days off between December 24th and January 1st. I am grateful and I am smiling. 3. Tomorrow I am going Christmas shopping with hopes of completing it all. If I end up downtown and if it’s not raining, I will take my camera to get some outdoor shots. 4. Today I was looking at some of Andy Summers’ black and white photography online. He is an amazing photographer. 5. The next screenwriting book that I am going to read is: The Screenwriter’s Bible; a complete guide to writing, formatting and selling your script 4th ed., expanded & updated, 3rd Silman-James Press ed – by David Trottier. 6. Last summer, I managed to grow a beautiful avocado plant from a pit. This week I set up three more pits in water, held in place by toothpicks. I am crossing my fingers that this will again be successful. Thank you for stopping by my blog. I wish all of my readers and friends a happy weekend. Thank you to Thomas at: http://astrangertoheavenandearth.com/ for nominating mypenandme for this award. 1. I had three hours’ sleep last night. I meant to have a nap sometime during the day but the day slipped by and then the evening did as well. Now it is 12:31 a.m.
2. I went to the bank and the grocery store very early this morning because we were expecting rain. I wish I had brought my camera. All of a sudden out of the blue there were more than a hundred pigeons that had gathered all around me and everyone else at the bus stop. One had a pure white head, very unusual eyes and walked as if it were a celebrity among the others. It looked almost like a ghost pigeon, an alien pigeon–something out of a movie. The rest of its coloring looked like all the other pigeons, similar to the ones that I posted last weekend. From now on, I will always take my camera to that particular grocery store. 3. It ended up being a very dark day with rain falling late in the afternoon. I made a pot of soup from scratch as I do every weekend. This week I used simmering steak, carrots, celery, cabbage, green beans, onions, kidney beans, red beets, spinach, potatoes, zucchini, fresh garlic, tomato sauce, parsley, Italian spices, basil, seasoning salt and black pepper. I just had a bowl a few minutes ago and the flavor was wonderful. 4. I talked to Rusky in Australia a short while ago. He is organizing a collab involving several poets and invited me to participate. I will look forward to that. 6. As it nears December, I’m going to go downtown and take photographs of the holiday-dressed windows at our major department stores. I’ll post them here when I do. 7. I suppose I ought to get back to my screenplay now, or at least back to thinking about it. It’s a completely different screenplay than it was a few months prior. I have this stack of newspaper articles that I have to go through–all articles that gave me ideas that I wanted to return to later–ideas that I could perhaps implement somehow. I have to do that yet, and finish Steven Smith’s book. I’m only halfway through it–a good book, though. His first run was only thirty copies. That in itself makes me want to read it. Have a good night everyone. Thanks for your delightful blogs. I am enjoying all of the blogs that I am subscribed to. Thanks very much to Cristi M. at http://cristimoise.wordpress.com/ for nominating me for this award. I enjoy Cristi M’s blog very much. It is truly delightful. –(2) Post the award image to your page. –(4) Nominate 5-10 other blogs. 1. I enjoy reading good quotes. 2. I love going to large annual book and rummage sales in the GTA. 7. I’m still trying to figure out how to use the word ‘nestle’ in a poem for Three Word Wednesday. Ha! To the above nominees: If you choose to participate, please copy and paste the award to your blog and follow the rules listed above. If you do not wish to participate–no worries. It is still my pleasure to have shared a link to your blog with my readers. Wishing all of my readers a happy rest of the week. 3. 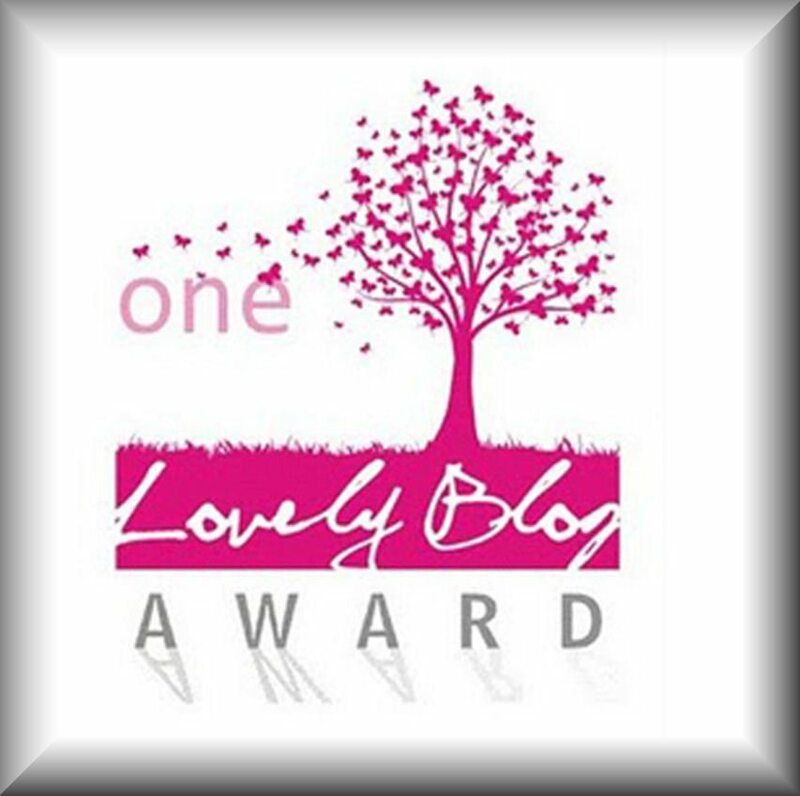 Nominate 15 other bloggers for the award. 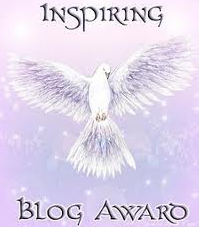 Many thanks to Julia Dean-Richards at: http://aplaceforpoetry.wordpress.com/ for the nomination. A Place For Poetry … What a lovely name for a blog. 1. I’ve been coughing all morning. I’m probably getting a cold. 2. Yesterday I learned the difference between into and in to. 5. My first piano teacher’s name was Mrs. Roy. My lessons were on Saturdays. I used to watch Scooby Doo on television before going there. 6. I can still remember the theme songs/music from many of my favourite television shows and commercials. 7. Every weekend I make a large pot of homemade soup. Many thanks to: Hello, My Sin Is at: http://hellomysinis.wordpress.com/home/ for nominating me for this award and for the kind words. 1. When I was a kid, I was on the Romper Room television show. 2. One of my music teachers studied briefly with John Cage. 3. When I look out my window, I can see the CN Tower. 6. My sandals broke while I was at work on Thursday and I had to buy a new pair today. 7. I have to buy a new printer soon. 1. I walk to and from work every day. 2. I start work at 11:00 a.m. so I can stay up late and write. 3. I like Tuck and Patti’s version of Time After Time. 6. I still have some 45s. 7. I want to learn how to make sushi.